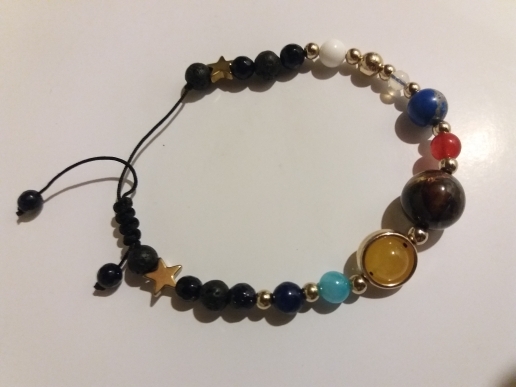 Cool universe inspired bracelet. 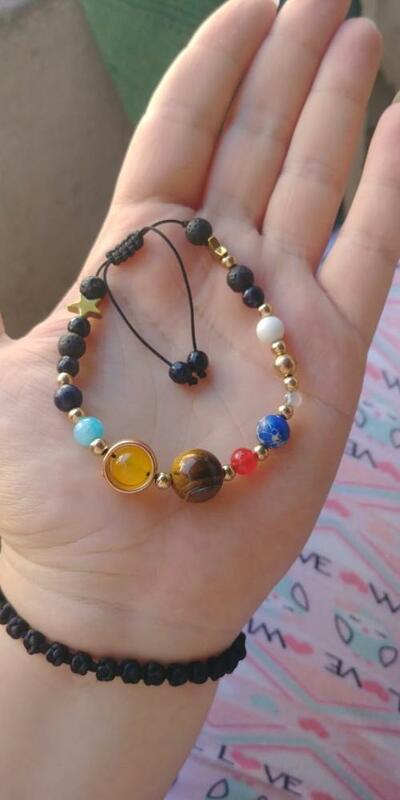 Different sized and colored beads represent planets, moons, etc. Love wearing it and I've gotten lots of compliments. Very beautiful exactly as shown in the picture.